Seniors Natalia Pehar and Sam Galanopoulos signing to college to continue their athletic careers. Today, Nov. 14, 2018, was one of the biggest days of these seniors athletic careers, November’s signing day. Seniors Sam Galanopoulos and Natalia Pehar both signed to their selected colleges to continue both their athletic and academic careers. 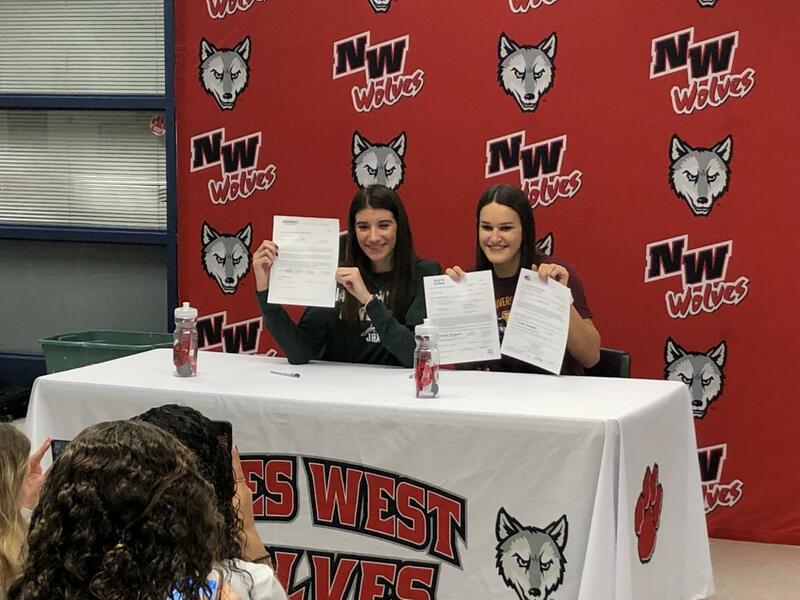 Galanopoulos will play basketball for Loyola University Chicago and Pehar will travel down to Florida to play volleyball for Jacksonville University. Both girls had huge support from family and previous coaches who all have high hopes for their collegian careers. 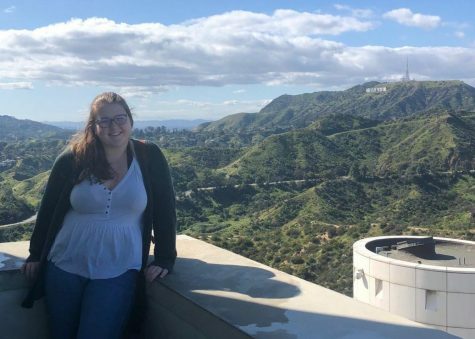 Loyola has had a place in Galanopoulos’s heart since she started looking at colleges because it is so close to home and has the perfect programs for her major. “I picked Loyola for a ton of reasons. The number one thing though was that my parents could come to my games. I’ve grown up being coached by them, playing in front of them, and going through all the years of basketball with them. So having them at as many games as possible was a must. Secondly, I looked at the coaches and team that I was going to be spending the next four years with. The second I stepped foot on campus sophomore year, I already knew. And lastly, my major. I want to be something in the medical field and there is no better program to do than at Loyola,” Galanopoulos said. Her goals in college are similar and not similar at the same time to other collegian athletes. She hopes to maintain her leadership and cause more and more positive on the team. As for Pehar, she committed to Jacksonville University because it fit her perfectly. Pehar appreciates the experience and knowledge that West gave her in order to be able to continue her career past high school. “Niles West volleyball made me the player I am today. 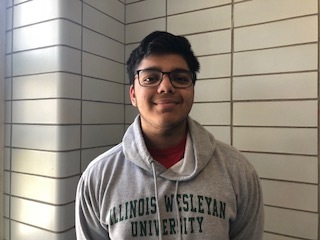 School volleyball is a lot easier than club but since it’s easier and more laid back I got to shine and show my inner leadership that I have onto the court in club, it shaped me into the dominant player I am and I couldn’t thank my coaches enough for pushing me,” Pehar said. Both girls have had dominant sports careers here at West and everyone hopes that they suceed and continue to dominate their sports in college.